This is universal smart watch, it's a great gifts for your family, friends. High-definition display, Anti-sweat matte surface treatment, the ultimate ergonomic convex design, wearing more comfortable.500mAh capacity polymer battery, safe and reliable. It can use for most Android phone, all features can be used, after you insert your sim card, you can use it as a cellphone to make call directly, can surf the internet. For iPhone,it only supports partial functions including Pedometer, Calendar, Call Sync, Calculator, Clock, Stopwatch, Music player,Handsfree,ect. Open the QR code on the watch (On the left hand side of the pedometer pattern)>Scan it by the scanner on your phone >Click & download the APK >Install the APP on your Android phone. Note 1: The QR code is global used and applied to any scanner. this is safe QR. If there is no scanner on your phone, please download one in the app store. Therefore you can download the APK on you Android phone not IPhone. Clean Cloth 1pcsSTABLE COMPATIBILITY – compatible with Android system smartphone: Samsung, Google Pixel / Pixel XL, HUAWEI, HTC, ZTE, Sony, LG, OPPO, VIVO, XIAOMI. Capacitive full-color display, 1.54-inch smooth touch screen, easy to operate. Suitable for all age groups. BLUETOOTH MODE – NFC fast Bluetooth connection. For Android system, it supports anti-lost, phone book, pedometer ,remote camera, Bluetooth dialer, clock, calendar, calculator and notification push, including call, Facebook Twitter whatsapp. For the iPhone, it only supports some features, including pedometer, calendar, calculator, clock, stopwatch, music player, handsfree, call. PHONE FUNCTION – If you place your SIM card in your watch, you can make calls directly from your smartphone, including answering and dialing. If you do not have a SIM card installed, you can connect your phone via Bluetooth and then you can call, including answering and dialing. Support hands-free calls / receive or call from the wrist of Android / iOS. If you are using the Bluetooth connection to synchronize your contact information, please note that you can see the caller on your watch. MAIN FUNCTIONS – some features need to be inserted into your SIM card and TF card. 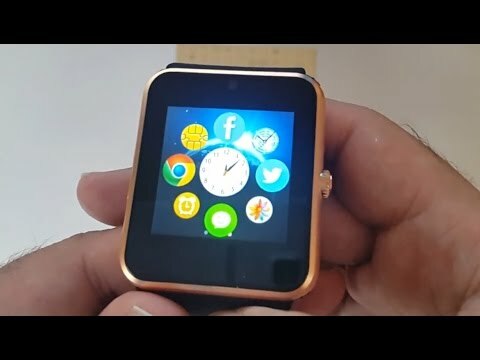 When you put a SIM card and a TF card in a watch, it runs the Facebook, Twitter, Whats application independently. OUR PROMISE – There is a position on the watch to print our GETOKOK registered trademark, any counterfeit please consumers to distinguish。30 day money back and free replacement, you are very welcome to contact us for any questions any time! 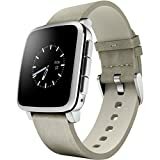 If you’re looking for the most recommended smart watches, then this product is a great option. Many good reviews have already proved the quality of this product.